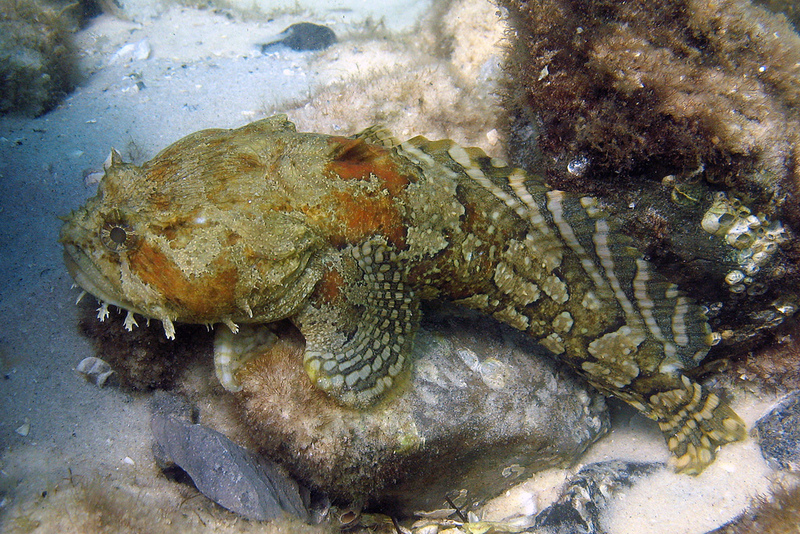 Notes: The Gulf Toadfish is an interesting bottom-dwelling predator for a large aggressive aquarium. They have a flattened body with a very large mouth and are often light to dark orange in color. These fish have been known to prey on tankmates and will especially eat inverts like shrimp and crabs. Do not keep with small fish or in a reef aquarium!